nice work. Care to share the rest of the date- or link to it We would all like to see our census tracts! Great blog with good info. THANKS! 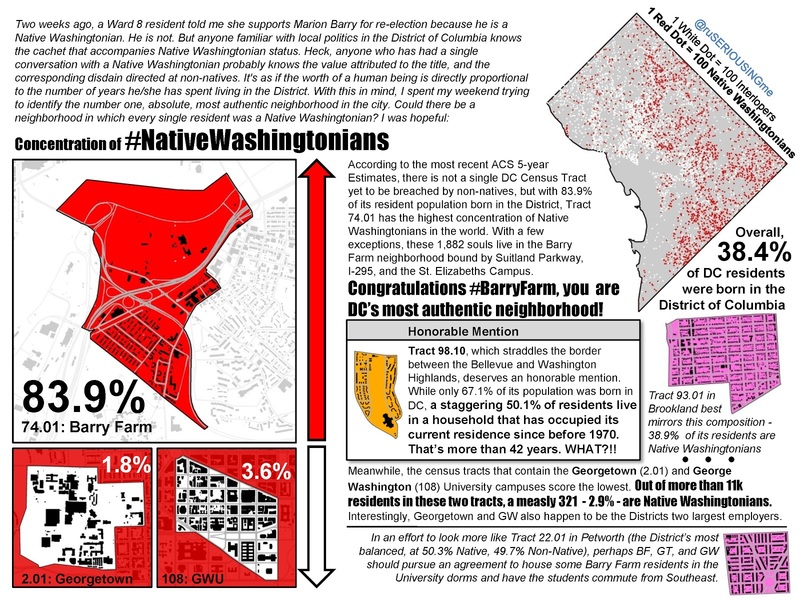 Very interesting, but it also highlights one of the problems that will always arise when investigating this question: Using place of birth will necesarily miss all the people who are native Wasingtonians otherwise, but happened to have been born in one of the suburban hospitals. It would be interesting to look at all those DC residents who were born in the surrounding counties and have long tenure in DC residences.